Classic company has provided a rental style shoe at a very affordable price. These shoes are perfect if you just need a simple pair to take to the bowling alley and do your thing in. They are brand new shoes that are the rental style you would see at a bowling alley. These are great shoes. They have that classic retro look I was after. Perfect even on the shabbos. Gutters and strikes... But that's just my opinion man. Stylish, comfortable. It would be better if they didn't say rental on them. Great for what it is used gor, casual bowling. Great price too. I bought these shoes to save money on rentals while I improve my bowling score. The shoes are durable and comfortable. I bought my regular shoe size and they fit perfectly. A great product at a reasonable price. I recently became a league bowler and I was tired of renting house shoes. I'm happy with this purchase. I like the rental style and my expectations were met regarding the quality of this shoe, considering the lower price point. I'm saving money over renting and after wearing this shoe a few times now, I know they'll last as long as I need them to. Overall, very pleased and would purchase again. Also, fast shipping! Thanks! 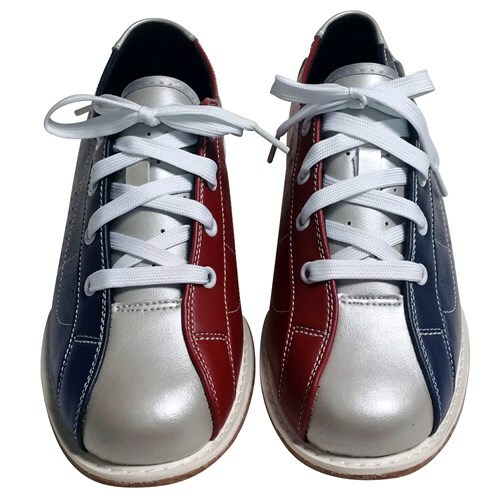 I just love these bowling shose if you are looking for bowling shose get these! The shoes are a great deal. Comfortable enough for the price. Good for casual recreational bowlers. Not for league. But happy with the shoe and no more renting. Pays for itself in five uses. I bought these shoes as a Christmas gift for my 19 year old son who bowls about once every other week. He consistently wears 11 1/2 shoes at every bowling alley we've been too but these shoes feel like a size too big at that size. His natural shoes size is 11 1/2. The low profile is a good feature. Most bowling shoes seem very bulky. Shoe is fine but "free shipping" with "packaging fee" of $5.95 is annoying. They say the packaging fee is a one-time thing so if you ordered 50 items at once in your shopping cart it would still be just $5.95. The problem is....who orders that many things? It's really just a shipping charge. Call a spade a spade. They are what they are, which makes them good. I bought these shoes for my nephew. I miss understood what size he wore. I suggested if we should return them. He refused. He likes them so much he wants to grow into them. Which will be in about a year or two...lol. These are really rental shoes. They are what they are. For the price and for someone who bowls casually these are great at the price point. It's obvious they will last a long time with casual use. If anything, if you have friends who go bowling with you, buy the pair and keep them for them. That is what my brother's family is going to do. 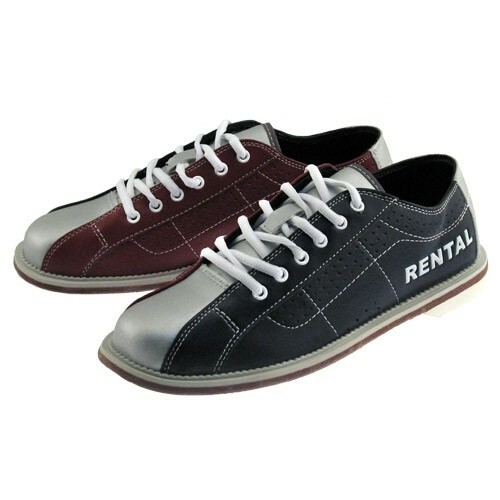 If the bowling houses are going to charge as much as they do for rentals, why not buy a reasonable priced pair for your friends, that you keep for the next time you go bowling with your friends. Oh, if you buy this pair, the size is printed on the back of the shoe. I'd suggest putting your name or marking it somehow so the bowling alley doesn't think your walking away with one of their pair of shoes. Good purchase but sizing not accurate. I think the product was fair for what i bought it for. Im a casual bowler (once per month) and I make sue with these shoes. However the soxing wasn't perfect. I'' a true 10.5 in every other shoe but these 10.4s were too big. Hello! The shoes will both be multi-colored. They will have blue on the pinkie toe side of each shoe, red on the big toe side, and grey in the middle. 4 of 19 customers found this answer helpful. Did you? Yes | No Did you find this answer helpful? Yes | No Thanks for your feedback! Hi K, these shoes do not come in a wide width. I normally wear a 4E in New Balance and Skechers makes a relaxed fit that I can also wear. I wore these bowling shoes tonight in a size 10 and they felt great! Even though they say they don't come in a wide width they worked for ME. And I have very wide feet! Hi Mel, this shoe is essentially the most standard shoe that Classic makes. That being said, it doesn't really come in any variations in width or style. So unfortunately it isn't available in a narrower version; it's going to be a standard D width. 5 of 7 customers found this answer helpful. Did you? Yes | No Did you find this answer helpful? Yes | No Thanks for your feedback! can I get 1 size left foot 10 right size 9 same price? Hello Chap! No, we do not mix and match sizes. You would have to purchase a pair of shoes and both shoes would be the same size. Can I compare the size with the size I usually rent from the alley? Hello! Yes you can compare these with the bowling alley sizes. Just keep in mind that the shoes at the bowling alleys are all worn in pretty well, considering people wear them all day long everyday. So the shoes at the bowling alley will prob be a little bit bigger than the brand new ones until you break them in. Hi Pete. If you wear a UK size 8 in mens then you would wear a size US 9 in mens. To be on the safe side, I would purchase the True Fit Guarantee so you will be guaranteed the correct size for you. Are these shoes leather on the bottom? I'm looking for a non leather shoe. Hello Less. Yes, this shoe will have leather soles. Hi Angie. The Classic Mens Rental will be blue/grey/red. Hello. If you wear a size 12 in womens you will need a size 10 in mens. Can you purchase these without the word "RENTAL" on the shoe? At this time, the Classic Rentals will all say the word 'rental' on them. Do i have to return it? are these shoes new? never been used? Hello! These are new shoes. They have never been used. These will be brand new from the manufacturer. These will be brand new and never used. what is the size fit on this? what is this shoe made out of? These are made out of man made leather. We are actually buying the shoes and not renting them for that price correct? do you carry any size 18? Unfortunately, the largest size that we carry in shoes will be a size 17. Do I have to return these after i wear them like are they an actual rental? Once you purchase these, they are yours to keep! Unfortunately when you go one step up from the classics you get into the shoes that have a microfiber slide sole and that will be different than the leather slide you get with the rental style shoes. You have to go pretty far up to something like a Linds Mens Classic Black to get a higher quality shoe that still has a leather style slide sole. Please call us in our office so we can assist you better! Our number is 1-800-441-2695. Due to the time it takes to produce the Classic Mens Rental ball it will ship in immediately. We cannot ship this ball outside the United States.